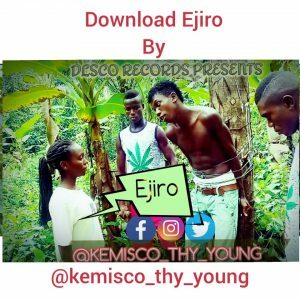 Kemisco Thy Young dishes out his latest jam titled “Ejiro” produced by Endeetone. Oh my Ejiro why you live….. in pain…. so my Ejiro why you cause…..me pain…..
Posted by Mr. Cis on April 13, 2019.